Over the past few years, the travel industry has undergone many changes. One of the biggest changes is that many travel advisors are working from home rather than at an office. Gone are the brick-and-mortar travel agencies of the past. While working remotely is a dream, many telecommuters have a hard time transitioning from the office into the home successfully. Luckily, there are a few tools that make staying connected more accessible than ever before. Through a combination of leveraging company tools and social platforms to taking the initiative, you can make working from home the best decision you’ll ever make. 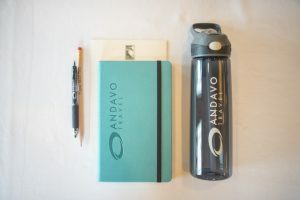 Here are a few tips on how you can stay connected while working as an Andavo Travel home-based travel advisor. When you work in an office being social isn’t hard. You could look to your left and have a full conversation within two minutes. Now working as a home-based travel advisor, communication with others isn’t customarily done face-to-face. That’s why your social life needs extra attention when you work from home. Plus, when you prioritize time away from your home office, you increase your chances of success when you’re working. Speaking of social, it’s essential you use social media to your advantage as well. When you work from home, you can use social platforms more strategically, whether it’s interacting with fellow travel advisors or learning from the hub of knowledge on our online community. For example, our Andavo Travel network enjoys access to a private Facebook group. This exclusive community offers the social encouragement you’ll need to feel supported at all times. Now that we’ve mentioned online support, let’s dive deeper. Support is key for home-based workers. This support system should include family, friends, other travel advisors, and a network of leaders that are there for you during the busy season and the offseason. Along with our social platform support, we also give each of our travel advisors access to responsive support staff. This gives you the consistent attended you need to keep your business running. Just because you work remotely doesn’t mean that you shouldn’t network. Take advantage of the networking opportunities given through our exclusive Virtuoso membership and other annual events including the AndavoMart conference. These events help you meet others in the travel industry consistently, so you’ll have a new pipeline of professional contacts and ideas. Working from home can make you complacent. Don’t let this happen to you. Look for new educational opportunities that’ll keep you involved in the community and up on the latest promotions and trends. One of the ways we offer educational opportunities at Andavo is through the Virtuoso Travel Academy, an online tool with instructional videos that help you improve your business. Learn more about improving your home-based business by contacting us today.